Engaging with culture, technology and environmental realities, this selection of female-led fashion brands paves the way for the future of an ever-growing industry. Inspired by both Nigerian and American culture – and influenced by their parents – sisters Darlene and Lizzy Okpo offer contemporary womenswear defined by sharp silhouettes, bold colours and an innovative mix of unconventional materials. O’Neill’s knitwear brand, based in Newcastle, UK, is committed to fit, drape and quality, using natural fibres to handcraft premium garments. Ethically made from start to finish in Peru, each piece is committed to both sustainability and convenience. Pauline van Dongen combines technology and individuality to create pieces that respond directly to the wearer. Providing a vision for design that goes far beyond aesthetics, key examples include the Solar Shirt, which harnesses the sun’s energy. Combatting waste in the fashion world, Port Zienna looks to the future through sculptural minimalism and affordable craftsmanship. Offering a distinctive blend of fluidity and structure, the brand uses of environmentally friendly fabrics for a lifetime of wear. Combining sustainability with luxury, BreeLayne offers a new model for the high-end industry. Ecologically responsible practices take centre stage; pre-existing materials, recycled packaging and eco-friendly dyes ensure impact-neutral collections. 2. William Okpo, Yvonne Slinky Dress. 4. 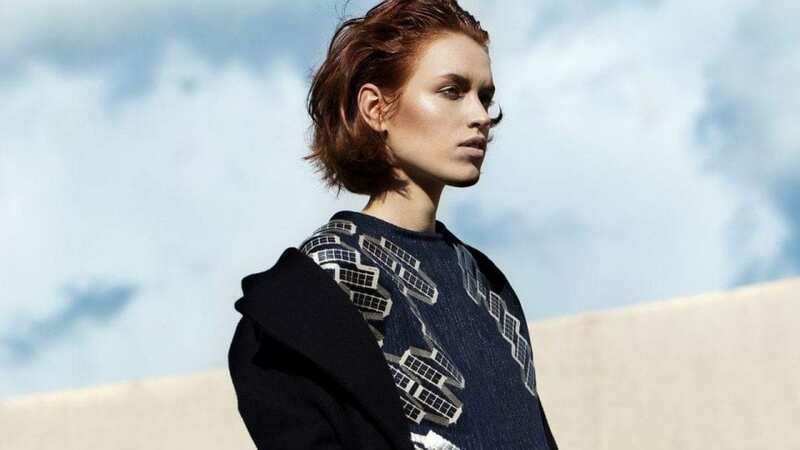 Pauline Van Dongen, Solar Shirt. Photo Credit: Liselotte Fleur.